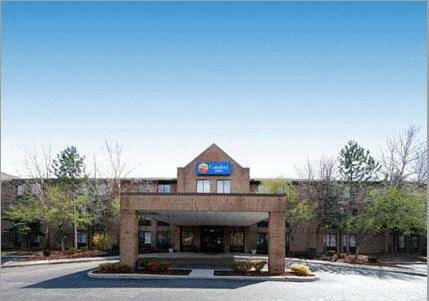 Behind every great day is a great night at the Comfort Inn hotel in Livonia, MI located at the crossroads of southeast Michigan off Interstate 96. Nearby destinations include Henry Ford Museum, Detroit International Riverfront, Cobo Center, GM Renaissance Center and Wayne State University. Detroit and Detroit Metropolitan Wayne County Airport are also close. Enjoy amenities like free hot breakfast, free WiFi, guest laundry facilities and free weekday newspaper. Rooms include a flat-screen TV, microwave, refrigerator, coffee maker, hair dryer and a hot tub. Also, earn rewards including free nights and gift cards with our Choice Privileges Rewards program. Pet Accommodation: Dogs only. Pet Limit: 1 dog per room under 35 lbs. Exercise room is temporarily unavailable. Credit and Debit payments will be authorized for room and taxes. Cash payments will be required to pay room, tax and provide a 100.00 USD refundable deposit. See the factory where the first Model Ts were built by Ford in 1908. The oldest auto plant open to the public anywhere in the world.